Always popular, the Dunkin Donuts Coffee Coolatta is an easy way to enjoy a cool coffee drink at home. There are few things that I enjoy more than a good cup of Joe. Now take that cup-o-Joe and make it frozen and I am in heaven. I enjoy a hot cup of coffee in the morning but by the afternoon and into the evening I crave something cold. 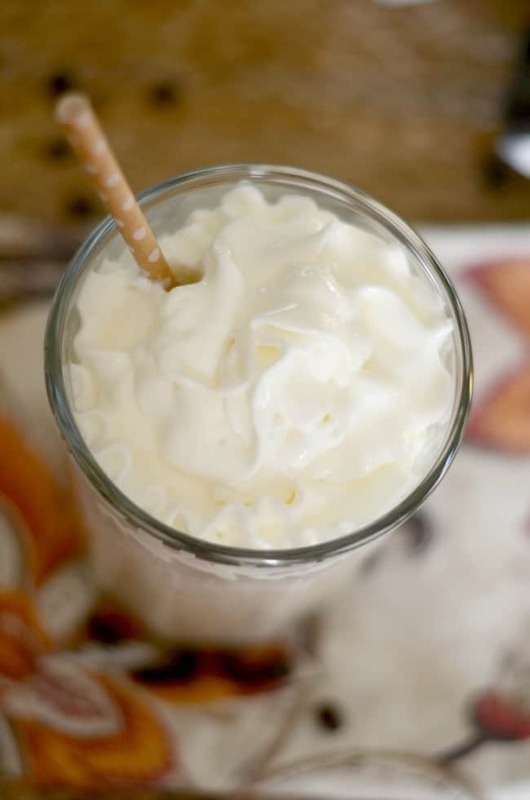 This Dunkin Donuts copycat coffee coolatta always hits the spot and is so easy to make at home. The coffee coolatta has been around since the late 1990s but has recently become a mainstay in the Dunkin Donuts industry. They have a couple of different varieties – ranging from everyday coffee all the way to an Oreo flavored coolatta. They debuted the Oreo variety to celebrate the 100th year of the famous cookie. Cookies AND coffee? That sounds perfect. 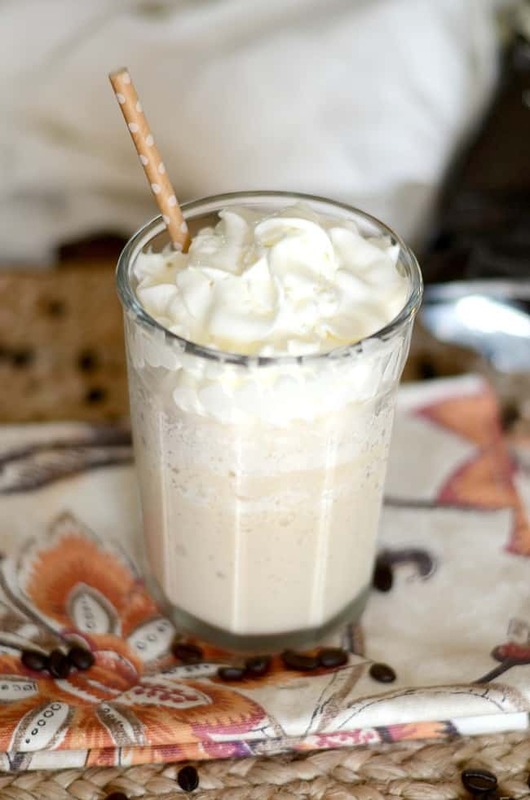 I’m sharing the recipe for an original coffee coolatta. It’s simple to make, and I bet you have most of the ingredients on hand. You start with a coffee base, add some flavoring, a little milk, some ice to make it extra cold and blend. 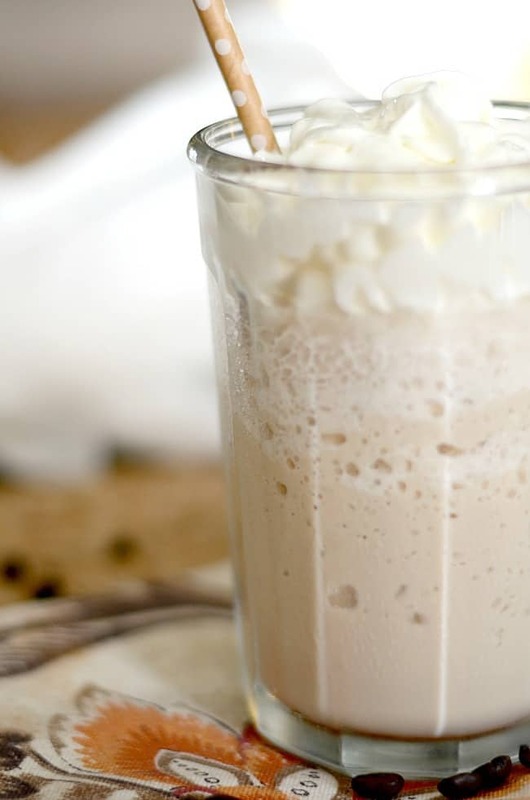 It doesn’t get much easier than whipping up one of these frosty drinks at home! I think the key to this coolatta is the hazlenut syrup. It adds sweetness and a little bit of nutty flavor to the coffee. Hazelnut syrup can be found at most grocery stores, or you could substitute a little hazelnut coffee creamer. Love these coffee house favorites be sure to try some of these coffee favorites. Cool off with a Dunkin Donuts Coffee Coolatta. Toss everything in your blender, starting with the liquids first. Add in the ice and blend. Don't over blend - the key to the coolatta is to make it icy and not creamy. Pour into a <glass and top with whipped cream. Enjoy! How do you make the banbamilla bean? is there any way to make this without the sugar in the syrups? i l Love coolattas, but i am on a forever diet. I altered this recipe a bit.I found vanilla sugar free syrup at market and blend w/ frozen ff coolwhip, and add hazelnut creamer instead of syrup. Do Follow the general recipe given .delicious! This combination will bring me significant innovation. It’s simple but impressive. I like the idea form you suggested! Thanks a lot. I’m going to try it.looks so good. Can I use another flavour syrup than the hazelnut one as I have a nut allergy? This recipe sounds great. Can I use hazelnut spread instead of hazelnut extract? The flavor should be ok, but the spread would add a texture to the coffee you may not want. Looks so scrumptious. Will give it a try. This look amazing and I love how easy it is too. Also, I so could have used this this morning. Monday was rough! Oy! I want some now! this looks so delicious that is a must have. I will be printing out the recipe to make it myself. Thanks for letting us know about this amazing yummy drink. I love these recipes, nothing worse than chemical laced, over priced drinks. This sounds so delicious and refreshing! I want to try this recipe! We just got a bunch of snow so this is a recipe I will be pinning for later. It looks so refreshing and great use of left over coffee. This is a dangerous recipe to look at in the morning when you haven’t had breakfast yet. Now my stomach is rumbling. This recipe sounds so good. I can’t wait to try it tomorrow morning!